Frozen fruit like strawberry, kiwi etc. 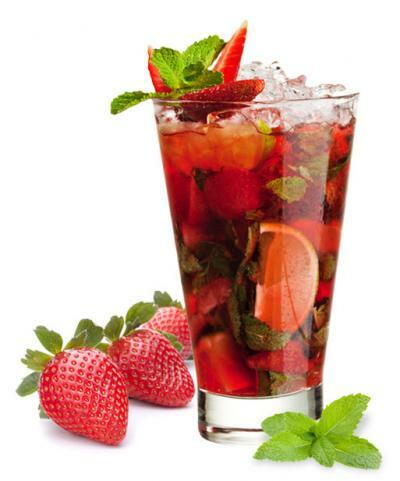 Muddle up 3 of the wedges with half of the mint leaves, frozen fruit and natural sugar substitute in a glass. Add in the ice, the rest of the mint leaves and fill 3/4 of the glass with soda water. Add in the shot of white rum, the last lime wedge, and garnish with a mint leaf. Serve. Why it’s healthier: We added vitamins and anti-oxidants through the frozen fruit, as well as upped the portion of mint leaves, which helps to improve your digestive system. Instead of using sugar, this one uses a natural sugar substitute. Of course, you can omit that from the recipe if you like. Why it’s healthier: Coconut water packs more potassium than four bananas, and is filled with electrolytes to rehydrate your body. Pineapples have more Vitamin C than your average orange while also filling you up with vitamins and minerals. 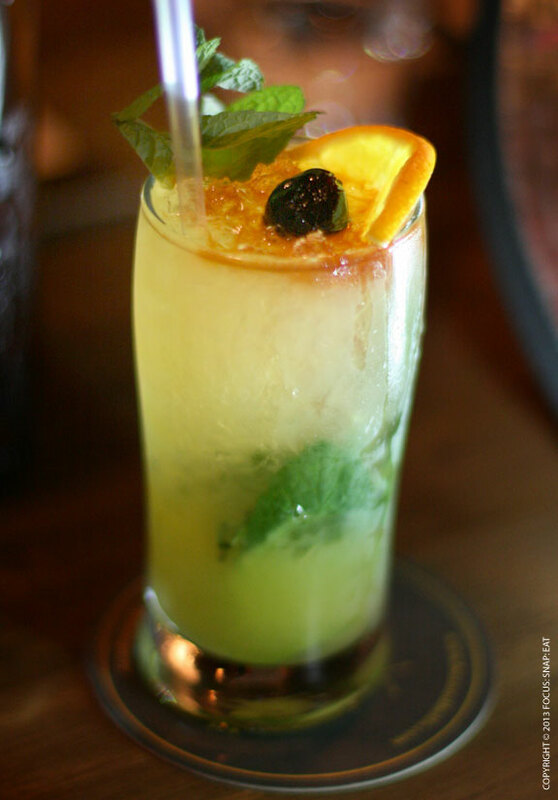 In a tall glass muddle lemon and mint together. Add gin and fill glass with ice. 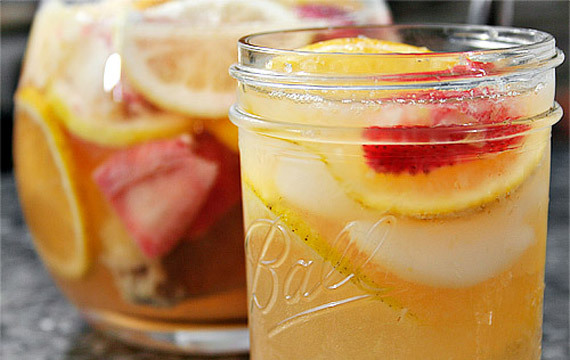 Top with soda water, garnish with lemon slices and serve. Why it’s healthier: This cocktail calls for no added sugar but includes lemons, which contain electrolytes like potassium, calcium, and magnesium. 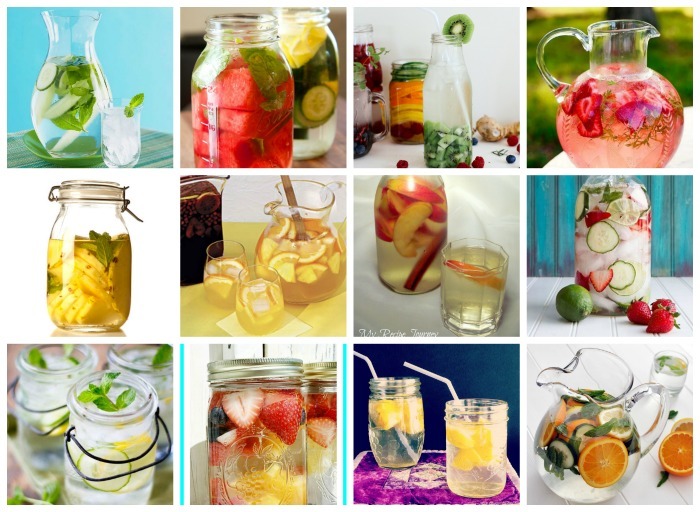 These electrolytes help your body stay hydrated and functioning smoothly. The handful of mint leaves keep your breath fresh as well. Blend everything in a blender till smooth. Pour and serve. Why it’s healthier: Once again, no added sugar. Berries are supercharged with anti-oxidants, which help your body fight diseases. Choose cranberries, blueberries, and blackberries as they contain the highest anti-oxidant levels. Add all fruit into pitcher, pour white wine and brand, and steep for 20 minutes till flavours are infused. Serve. Why it’s healthier: This cocktail is filled to the brim with fresh fruits, requires no added sugar, and uses dry white wine, which contains healthy levels of antioxidants and less calories than red wine. Fill half a shaker with ice, mix all the ingredients. 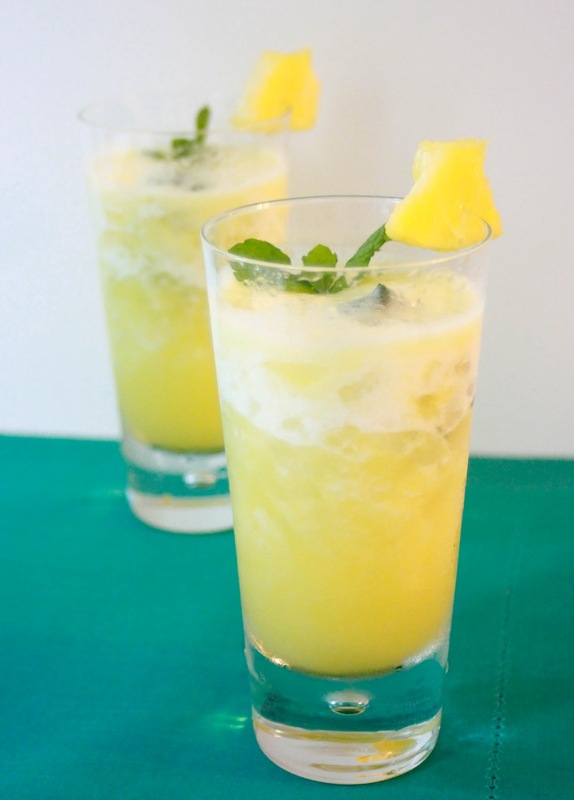 Shake well and pour into an ice-filled glass, garnish with pineapple chunks (the more the healthier) and serve. Why it’s healthier: As mentioned earlier, coconut water is a quick and all-natural fix for dehydration, while fresh pineapple gives your body a quick vitamin C boost. No added sugar here as well. Try using fresh pineapple juice as an even healthier option. 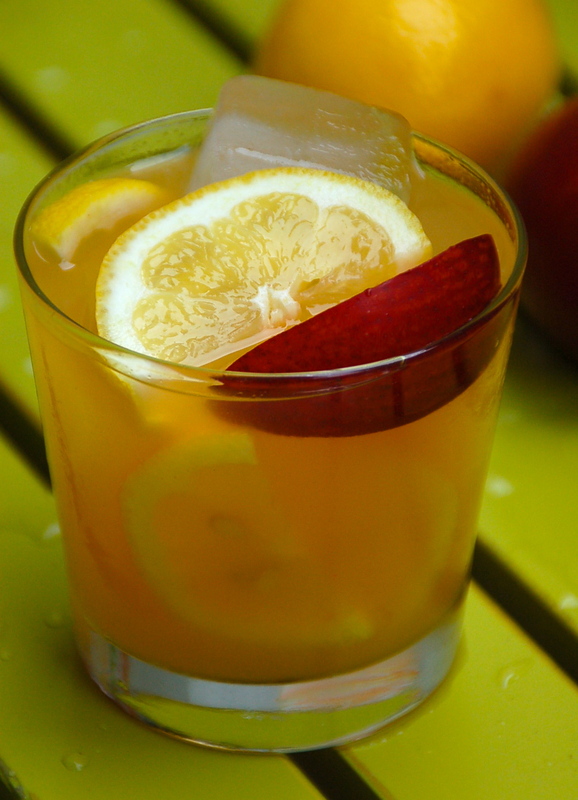 Mix everything together and garnish with lemon wedge. Serve. 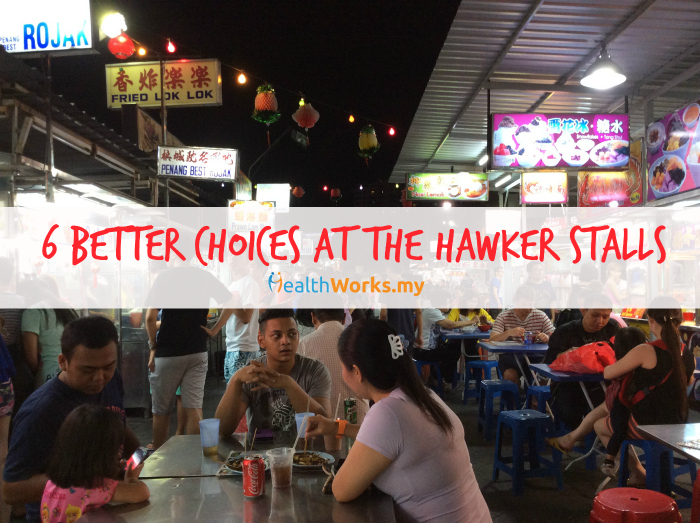 Why it’s healthier: No added sugar, lots of vitamin C! 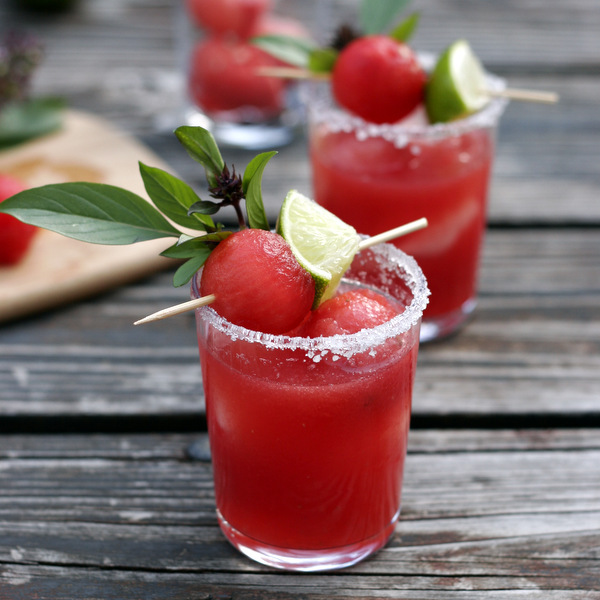 Fill blender with cubed watermelon, add ice, tequila, liqueur, and lime juice. Blend until pureed and ice is crushed. 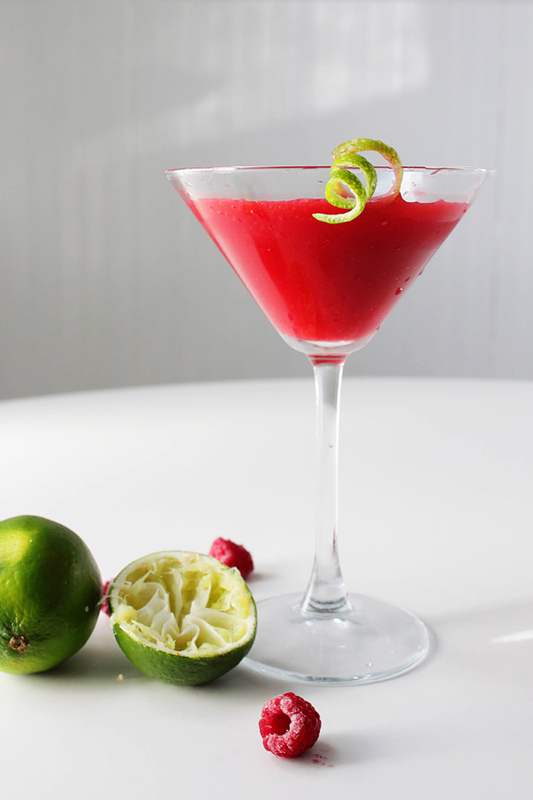 Pour into a nice tall glass, garnish with a watermelon wedge and serve. Why it’s healthier: Watermelon scores points for being a natural sweetener and a good source of vitamin C and A (which promotes good eyesight). 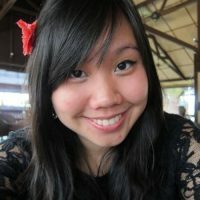 These refreshing cocktails will blend in nicely at a pool party on one of Malaysia’s famed scorching days. We hope they make your weekend a little better. 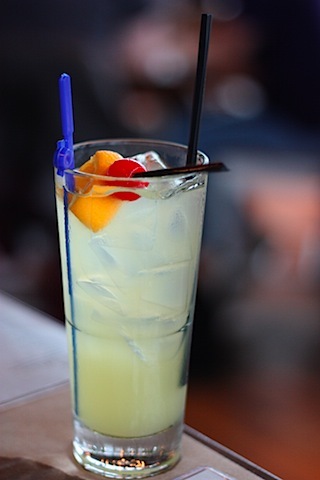 (Although they are healthier than your average cocktail, moderation is still your keyword). Lazy to whip up a cocktail? Try getting a beer instead. Refer to our beers calories list here. And remember not to pick up those car keys if you’ve been drinking! Did we miss any of your favourite cocktails? Let us know in the comments below or on our Facebook page!